Walking through the heart of Manhattan's Theater District can pose a daunting task. Marquees flash award-winning titles and raving reviews by critics. Passersby chat giddily about the shows they just saw, playbills still in hand. The lights of Times Square shine brightly, as if to intensify the burning question: With so much talent to be found along 42nd Street and beyond, which Broadway show should you go see right now? Before plunking down that credit card, check out these 5 recommended shows that are currently running on Broadway, since, after all, there's more to the Great White Way than just Hamilton. Upon entering the Brooks Atkinson Theatre, a waft of a freshly baked pie hits one's nose. Yes, pie . . . which, it turns out, is a natural tie-in to Waitress, the musical adaptation of the 2007 Adrienne Shelly film. The plot follows the quirky and at times dark story of Jenna, a struggling waitress and pie connoisseur trapped in an abusive marriage. As chronicled in the song, “The Negative,” upon “one drunk night and that stupid red dress,” Jenna becomes pregnant and is at a loss for how to escape her painful life – that is, until she meets her gynecologist, a dreamy doctor with an endearing, awkward sense of humor. Through music penned by the Grammy Award-winning artist Sara Bareilles and direction from Tony Award-winning director Diane Paulus, Waitress tells a memorable tale that fights for female empowerment and uncovers the magic of “what baking can do.” Brooks Atkinson Theatre, 256 W. 47th St. The lights dim. The orchestra wanes in anticipation as the opening chords begin to sound. Suddenly, yellow eyes sparkle all around as the stage illuminates a junkyard scene with a signature moon hanging in the sky. The legendary musical Cats has begun. This Andrew Lloyd Webber revival opens with an impressive opening number of So You Think You Can Dance-level skill. (And – quite literally – a winner of that show, Ricky Ubeda, portrays the magical Mister Mistoffelees.) The revival contains its most beloved original songs, based on the poetry of T.S. Eliot, including “Memory,” “Jellicle Songs,” “Macavity,” and “Rum Tum Tugger.” With a new demographic of kitties prancing on stage and updated choreography from Hamilton choreographer Andy Blankenbuehler, the feline musical has assumed a new life for audiences both familiar and new to this timeless story of redemption. 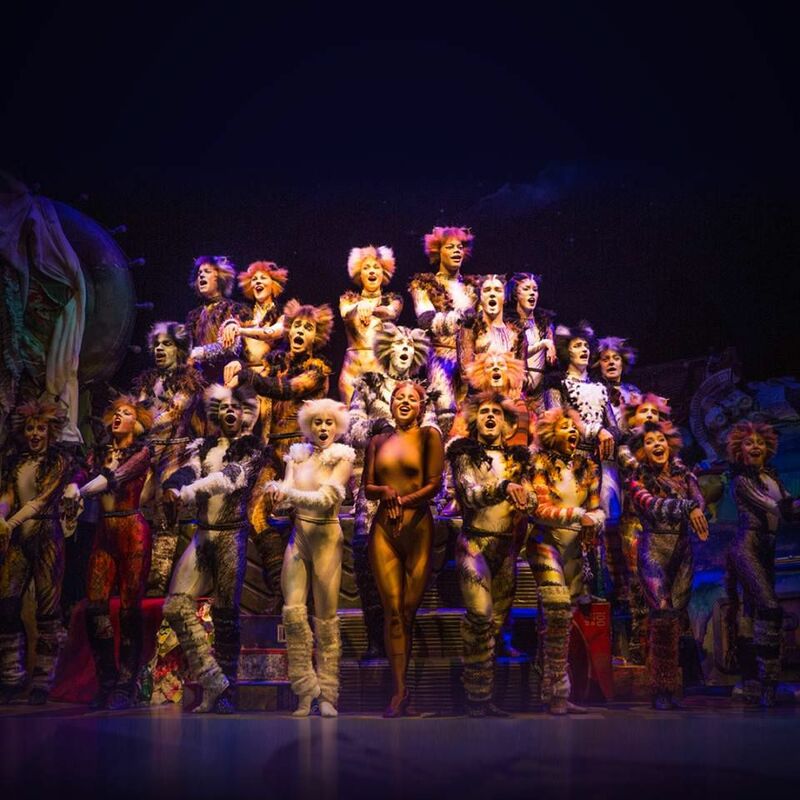 (Plus, the current revival stars British music sensation, Leona Lewis, as Grizabella the Glamour Cat.) Neil Simon Theatre, 250 W. 52nd St.
“I’m gonna take a deep breath, gonna hold my head high.” The Tony Award-winning revival of the musical The Color Purple is one not to miss this season on Broadway. The story arises from the classic 1982 book by Alice Walker and 1985 film by Steven Spielberg, starring Oprah Winfrey and Whoopi Goldberg. The musical revival follows the life of Celie, an African-American woman, during the 1930s, placing the painful realities of bigotry and abuse on stage. Tony Award-winning actress Cynthia Erivo stars as Celie, with Tony nominee Danielle Brooks and Tony winner Heather Headley as Sofia and Shug Avery, respectively. Bernard B. Jacobs Theatre, 242 W. 45th St.
Wicked is not the only show on Broadway currently defying gravity. The masterminds of Cirque du Soleil are behind the musical Paramour, which dazzles with jaw-dropping aerial acrobatics, soaring stunts – and a Golden Age of Hollywood love story. Paramour showcases a rising star who must make the ultimate choice: fame or love? A bonus: The show also cleverly incorporates video and live-stream technology. Lyric Theatre, 213 W. 42nd St. In a fast-paced world of technology and omnipresent social media, inner struggles and emotions often get shrouded by the virtual airwaves. Dear Evan Hansen, a new musical by Drama Desk Award-winning and Tony Award-nominated composers Benj Pasek and Justin Paul (A Christmas Story, James and the Giant Peach), explores social interaction in a society obsessed with digital media – and the repercussions of this obsession. Evan Hansen is a shy and awkward high school student who must face the realities of life in the ever-online 21st century. The title role is played by Ben Platt, who is known for his quirky roles in the Pitch Perfect film series. Belasco Theatre, 111 W. 44th St.